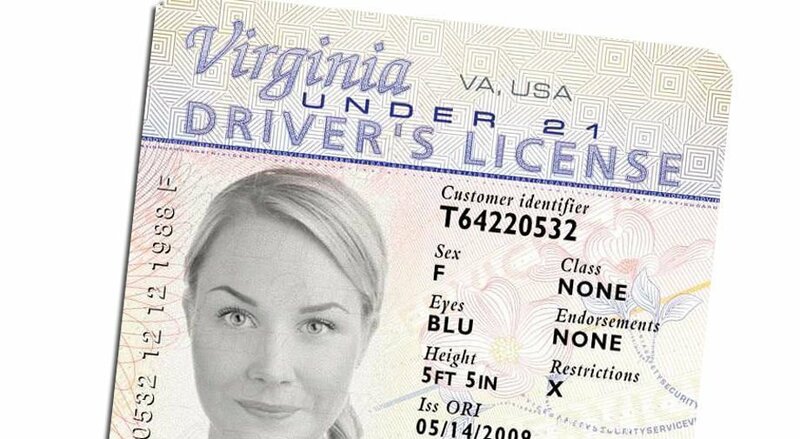 A sample Virginia driver’s license for drivers under age 21. 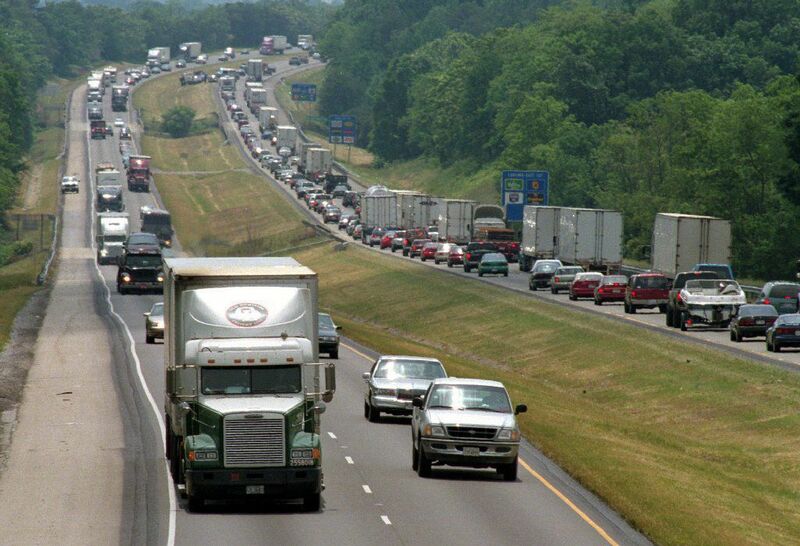 In this file photo, traffic slows on Interstate 81. The Virginia Senate and the House of Delegates on Wednesday voted to scrap Virginia's policy of suspending driver’s licenses of people who can’t pay their court fees and fines. Proponents say the action will restore the suspended licenses of 627,000 Virginians. The Senate voted 30-8 Wednesday evening to back Gov. Ralph Northam's budget amendment to change the policy, hours after the House approved it on a vote of 70-29. Northam proposed the amendment at the request of Sen. Bill Stanley, R-Franklin County, sponsor of legislation that a House subcommittee killed in February, after the Senate had approved his bill Jan. 25 on a 34-6 vote. The amendment "gives those people the opportunity to rejoin society and the community," Stanley told senators Wednesday. "They don't have to drive in fear anymore because they're trying to keep their job." On another key issue, the Senate joined the House Wednesday in approving a package of tax and fee increases to raise money to improve Interstate 81 and other interstates in Virginia. The House voted 58-39 to approve the package. The Senate approved the increases in separate votes on the funding mechanisms. Northam proposed the amendments to raise about $151 million a year for I-81, a heavily traveled truck route that traverses 325 miles along the western spine of Virginia, from the northern Shenandoah Valley to Bristol in the Southwest. The legislature is in Richmond for its one day session to take up the governor's vetoes and proposed amendments to legislation. Passage of an amendment requires a majority vote in each chamber. The legislature would need a two-thirds vote in each chamber to override any of the governor's vetoes. That is unlikely given that the House and Senate are closely divided. On another notable issue, the Senate voted 34-3 to back the governor's bid to bar motorists from holding cellphones while driving on any road. But the effort hit a roadblock in the House. Speaker Kirk Cox, R-Colonial Heights, ruled that the governor's amendment to expand the legislation to all roads was not germane to the underlying legislation, which would bar motorists from holding cellphones while driving in a work zone. Cox's ruling blocked the House from voting on the expanded measure. The bill to bar motorists from holding cellphones while driving in work zones now goes back to the governor for action. The governor’s I-81 proposals would increase diesel and road taxes, as well as truck registration fees, which would be used to pay for improvements on that interstate, but also interstates 95 and 64. It also would impose a 2.1 percent increase in regional fuel taxes in five regional planning districts that include the highway, mirroring regional taxes approved in 2013 for Northern Virginia and Hampton Roads. Twelve House Republicans voted for the 1-81 funding package. Del. Roslyn Tyler, D-Sussex was the only Democrat to vote no. Dels. Lamont Bagby, D-Henrico and Elizabeth Guzman, D-Prince William did not vote. Del. Rob Bloxom, R-Accomack, was absent. In the other chamber, Sen. Mark Obenshain, R-Rockingham, said he could support part of the governor’s plan – a series of amendments to raise the fees paid by heavy trucks to bring Virginia’s fees closer to the average state fee for heavy trucks along I-81. Thirty percent of utilization on highways and 90 percent of wear-and-tear is caused by heavy trucks, he said, but they’re paying only about 10 percent of the cost of repair and maintenance of highways. Stakeholders who studied the I-81 corridor found that registration fees for heavy trucks in Virginia were much lower than fees imposed by other states along the route, in some cases one-third lower, Obenshain said. The Senate voted 25-13 to accept that series of amendments. On the remaining amendments the vote to accept was 22-14. Sen. John Edwards, D-Roanoke, said the package “may well be the most consequential legislation of this session.” But if that’s the case, countered Senate Majority Leader Tommy Norment, R-James City and Sen. David Suetterlein, R-Roanoke County, then the plan should have gone through the committee process for debate and not be handled in the one-day veto session. Suetterlein said the proponents of the new package were the same people who supported tax increases in 2013 for transportation improvements under Gov. Bob McDonnell. “In 2013 we were told that that was going to be the solution,” said Suetterlein, a former aide to Sen. Ralph Smith who replaced his boss in the Senate in 2016. But the new taxes didn’t collect as much money as hoped, he said. The chamber voted 62-37 to make families eligible for refunds - up to $110 for individuals and $220 for families - by not counting any state tax credits they possess against their income tax liabilities. The proposal faces a stiffer challenge in the Senate, where Norment has made clear he will oppose any “back door” attempt to refund the unused portion of the earned income tax credit to working families, as the governor had proposed in his original budget. The Senate rejected Northam's proposal to restore $1.5 million in funding for census outreach. The House had voted earlier Wednesday to accept the amendment. The House backed $3 million for affordable housing. Both measures were priorities of the Virginia Legislative Black Caucus. The House also rejected a trio of amendments the governor had proposed to boost procurement opportunities for minority-owned and woman-owned businesses, which also were priorities for the black caucus. Del. Steve Landes, R-Augusta, argued that it would be premature to spend additional money at the Department of Small Business and Supplier Diversity until after a pending study by the Joint Legislative Audit and Review Commission, the legislature's watchdog agency. The House unanimously approved two blocks of budget amendments. They included proposals to authorize $315 million in bonds to replace Central State Hospital outside of Petersburg and to allow the Virginia Museum of Fine Arts to use $6.3 million of its money to begin planning a proposed $125 million expansion. The museum would be able to count the planning money toward its share of the project’s full cost if it is approved in the future. The House also approved a budget amendment proposed by Northam at the request of House Appropriations Chairman Chris Jones, R-Suffolk, to ensure that JLARC staff will be able to attend all meetings of the Board of Corrections in order to assess the effectiveness of state investigations of unexplained deaths in regional and local jails. The House rejected the governor’s proposal to eliminate a budget provision for future funding to pay incentives for Amazon’s corporate headquarters in Arlington County. The 57-40 vote retains a new policy to put the first $40 million in tax revenues in a new fund to pay future incentive obligations for jobs created by Amazon at its planned $2.5 billion headquarters in Crystal City. The governor wanted to eliminate the provision as premature because it would limit his ability to propose a budget in December for the budget that will cover July 1, 2020 to June 30, 2022. Patrick Wilson contributed to this report.